$9.5 Million for development activities, rehab/reuse of vacant/abandoned properties, and mixed-income projects integrating low-income housing. Of this amount, $4 million will be used to create a Revolving Loan Fund. $2 Million “Adopt a Block” Pool used to develop or rehabilitate single-family units, geographically concentrated at the block level, with full or partial repayment. The goal of this program is to address vacant/abandoned properties through the creation of lease-purchase or direct purchase opportunities. LAHTF is open to aligning the Program with areas established through the Tax Diversion District (TDD) ordinance, but with the flexibility to fund proposals that include project areas that cross ordinance boundaries. Range of 0% to 3% interest rate. $50,000 grant pool for Supportive Housing Services. 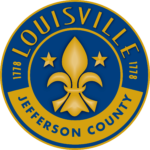 The LAHTF and Louisville CARES has created a single an online Pre-application Portal as a prerequisite to apply for funding through either the LAHTF or Louisville CARES. The pre-application is designed to obtain necessary information to direct applicants to most appropriate funding source. Use this link, https://louisvilleky.wufoo.com/forms/ppahc570216sbm/ , to complete the pre-application for funding. Low cost, permanent financing (terms and interest rates based on pro forma review to determine the ability to repay).  Funds may only be used on eligible affordable housing projects located in Louisville-Jefferson County. If funded, projects will be governed by the cumulative information contained in these guidelines, as well as any applicable federal, state, and local requirements. Recipients of funds will be expected to be familiar with and adhere to the guidelines and project design requirements described in this document and other applicable LAHTF documents. By definition, Supportive Housing Services are a combination of housing and services intended as a cost-effective way to help people live more stable, productive lives. The Fifth Third Home Owners’ Loan Program is made possible through the Fifth Third Foundation’s Strengthening Our Communities (SOC) Fund grants. The Fund awards grants to designated, nonprofit programs that support homeownership, affordable housing, small business micro-lending and technical assistance, and financial empowerment programs with a focus on workforce development. The Louisville Affordable Housing Trust Fund received a $75,000.00 grant from the foundation allowing us to empower clients on an individual basis and strengthen our entire community. The Louisville Affordable Housing Trust Fund will use these funds to provide very low-interest loans to low-income homeowners to make critical home repairs. If you live in zip codes 40203, 40210, 40211, 40212, 40218 or 40219, you may be eligible. Household income must be less than <80% AMI. If your income falls under the maximum incomes in the chart below, you pass the income test! 580 Credit Score required. Other credit criteria may apply. Only one (1) mortgage lienholder allowed at the time of application. Must be able to support a $50 monthly payment. 2 years of residency required. Applicants also will be required to attend one (1) hour of credit counseling to develop a budget, learn their credit score and develop an Individual Financial Plan. Applicants also will be charged a $25 application fee to apply. All other fees will be paid from loan proceeds. The Louisville Metro Affordable Housing Trust Fund was created by Metro Council as a way for Louisville to invest additional local public funds to address the affordable housing shortage. A place to call home opens the door to opportunity and the whole community does better when everyone has a decent place to call home.